Honoring the Sabbath is more important for President Shimon Peres than attending the opening of the Summer Olympics. The games in London are to open in three weeks on Friday evening, the beginning of the Sabbath. 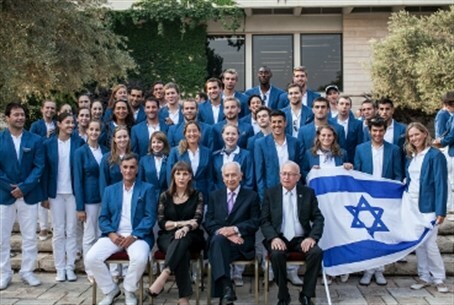 The office of the President issued a statement Tuesday saying, “The President of Israel will not attend the of the Olympic Games’ opening ceremonies that are being held Friday evening. There are no nearby hotels within walking distance to the Olympics stadium, and the President decided to cancel his visit in order to prevent desecration of the Sabbath. “The President wishes success to the Israeli athletes and is hoping with the rest of the people they will return with medals". President Peres is not considered to be observant, but is known to have deep faith in Judaism and respect for sacred Jewish customs. The President and other senior government official normally do not desecrate the Sabbath when they are carrying out official activities.